Comfortable 3 bedrooms with 2 bathrooms at high floor apartment with balcony. the location is near to Penang International Sport Arena (PISA), Golden Triangle, Complex Bukit Jambul, Queensbay Mall, Sunshine Square Bayan Baru, Suntech, Penang Industrial Area Bayan Lepas (FTZ), Giant Hypermarket, Penang International Airport (PIA). Easy access to snake temple, war museum, PISA corner food court, penang bridge (first and second), Fairview International School, INTI College, University Science Malaysia (USM), Straits International School. 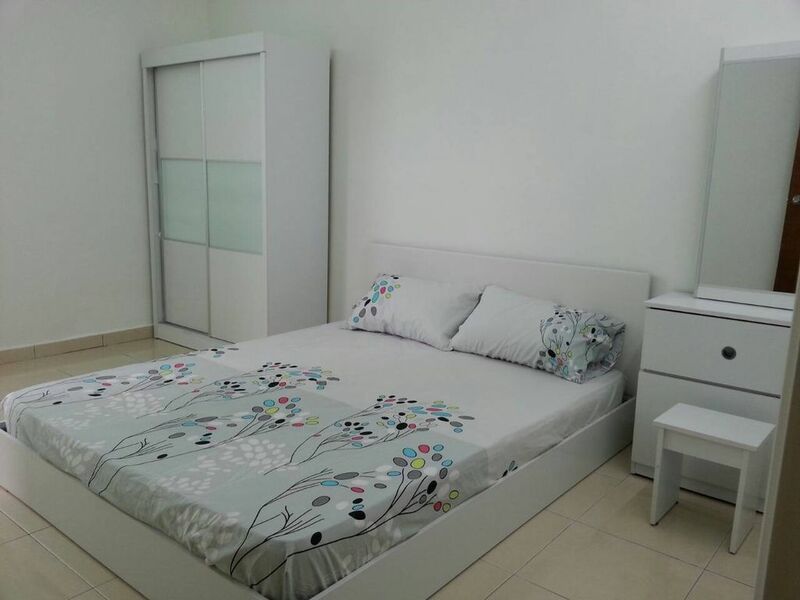 near to other amenities such as Tesco, E-Gate, Pantai Hospital and etc. We will collect a deposit of RM100.00 upon check in which will be returned at the end of the stay. Recommended..very nice condominium full facilities and friendly owner. Clean, nice and very comfortable stay. Will stay here again next time. Very nice and cleans..very good..i want come stay back.. The apartment is clean and have a nice view at night, I surely recommend to anyone trying to search for a homestay at penang, this is one of the best. The house is very clean. Easy to find the location. The host is very friendly. Highly recommended. Very clean. had a pleasant holiday. no regrets.